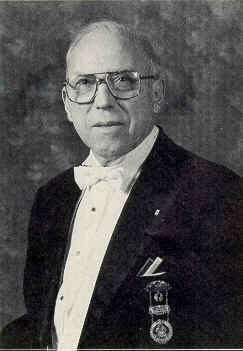 Worshipful John Robert Ranck, Sr., toiled tirelessly in the quarries of Freemasonry. His love for Masonry in general and Alexandria-Washington Lodge No. 22 in particular was evident to everyone with whom he came in contact. His zeal for the Lodge was demonstrated by his unending dedication to maintain our Lodge's relations with Constitutional Lodge No. 294 in Beverley, England, Liberty Lodge in Beverly, Massachusetts, and William L. Elkins Lodge No. 646 in Philadelphia, Pennsylvania. Worshipful Brother Ranck was always willing to do whatever he could to serve the Lodge. As well as serving as Treasurer of the Lodge for a period of time, Worshipful Brother Ranck also served a term on the Archives Committee and was always ready to assist the officers with their duties. 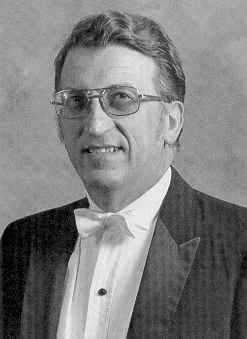 We will miss the wit and spirit of friendship that Worshipful Brother Ranck brought to each of us who knew him. Worshipful Archibald William "Archie" Lyon devotes his life to service. He served his country proudly in the United States Army for 36 years during both World War II and Korea attaining the rank of Brigadier General. During Wor. Bro. Lyon's 51 years in Freemasonry, he served as Worshipful Master of Alexandria-Washington Lodge, Scottish Rite 33ºI.G.H., Past National President of National Sojourners, and Past Commander of the Heroes of '76. Everyone who knew Wor. Bro. Lyon, felt his pride for the Collingwood Library and Museum on Americanism of which he was the Founding Director and Past President. For it was in this endeavor that he was able to combine his love for the United States of America and Masonry. Wor. Bro. Lyon never missed an opportunity to give the 'Toast to the Flag' at Lodge Installations or other functions or service in any manner which he could be of assistance. We will miss the kindness and patriotism which Wor. Bro. Lyon so gently displayed. This page is maintained by Jack Canard, Webmaster.